The goal of this contest is to encourage children to imagine the future of robotics and come up with innovative models. Hence we will not be providing any images, instead we are leaving the models to their imaginations. They are free to google ideas. Eligibility:Children from KG to 12th grades are eligible to participate in Robot Model Building Contest. Below are the levels for the Robot Model Building Contest. Each level has 3 prizes. CONSTRUCTION ROBOT: A robot that can help in the construction of a building, bridge, house, car, road, etc. DOMESTIC ROBOT: A robot that helps around the house, like, cleaning, cooking, washing, helping the dog, assisting senior citizens, helping people in need. MEDICAL ROBOT: A robot that can help in hospitals, like, giving medicines, helping patients, moving wheel chairs, exoskeleton, perform surgery, assisting doctors, miniature robots inside body, etc. Contest Format: Participants will be given 60 minutes to build a design and write about it. Children are encouraged to practice and build thedesign at home, but they will need to dismantle the design and bring only the individual blocks to the contest. •	A robot that can help in one of the categories mentioned above. •	5 bullet points describing how the robot can help. • All the pieces of blocks must be from the list of block/bricks/plates provided below. Pre-assembled items or any block types that are not from this list can't be used in your building material. • There is no restriction on the color of the blocks. • For those participants who already have blocks, you may be able to use them, however, they should be limited to what is allowed in the Building set recommended above. • You need not necessarily use all of the blocks to build your product. However, you cannot exceed the number of pieces mentioned in the list above. 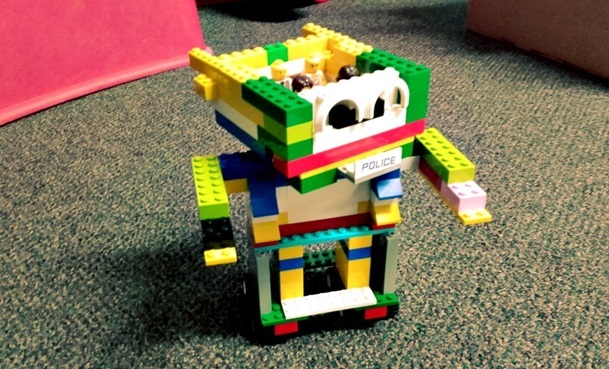 • All Robot Model Building Contestparticipants should bring their own blocks. You may bring your pads/clip boards to support the Block Building design on the table. Bighelp will NOT provide any material. • All Robot Model Building Contestparticipants should bring their own paper and pen/pencil for write up . • No other material is allowed like colors, clay, designs or pre-assembled blocks. •Arrive 15 min before the start of Robot Model Building Contest. •No electronics/hand notes / reference material allowed during the contest. •Bring your own Block Building material from the list provided above. Prizes:Certificate and a trophy will be awarded to winners. • Do not write your name or signature on any part of the Robot Model Building. For fair judgment, contest organizers will assign a reference number for each Robot Model Building work which refers to participant's name and will be used as the reference number. • No food/drinks (except a water bottle) are allowed in competition room. • No new entries are accepted on the contest day. 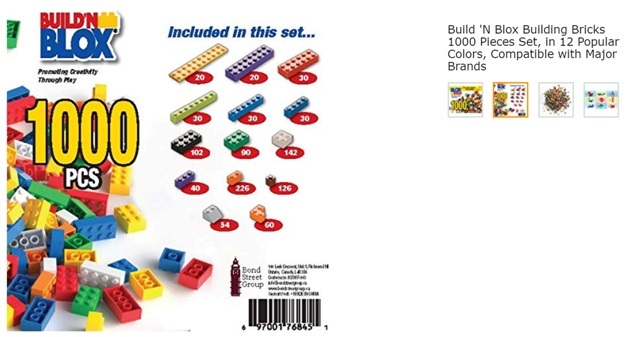 • This contest is not affiliated with, or endorsed in any way, by LEGO, a registered trademark of Lego Systems. blockbuilding@bighelp.org with subject - BighelpRobot Model Building competition. • The judge's decision is final and correspondence cannot be entertained with regard to the final results. BigHelp reserves the right to substitute prizes, or to reduce or eliminate prizes for any level if Robot Model Building work does not meet the minimum quality requirements. • Special Needs Category: There will be a special needs category if a participant has special needs. Please mention at the registration desk if their participation should be considered under special needs category. • Your Robot Model Building work will be photographed and the image will be reduced to a smaller size to display in Bighelp website or used any part of advertisement material. CONSTRUCTION ROBOTS: Construction of buildings, bridges, houses, cars, roads, etc. DOMESTIC ROBOT: Helps around the house, like, cleaning, cooking, washing, helping the dog, assisting senior citizens, helping people in need. MEDICAL ROBOTS: Working in hospitals, like, giving medicines, helping patients, moving wheel chairs, exoskeleton, perform surgery, assisting doctors, etc.